One aspect of my current research project that is equally fascinating and difficult to deal with is the act of writing, specifically in the context of graffiti. These texts often seemingly have no real purpose – in the sense that even though there is an attempt at communication – the intended audience, the meaning of the message, and even the author can often remain ambiguous. What seems to be the one constant, unifying factor of Pompiean (or indeed, any) graffiti is the need to record one’s existence in some way. Perhaps unsurprisingly, the more I become aware of writing – not just in the ancient world but even today – the more I recognize that noting a person’s presence in this life is a universal desire. 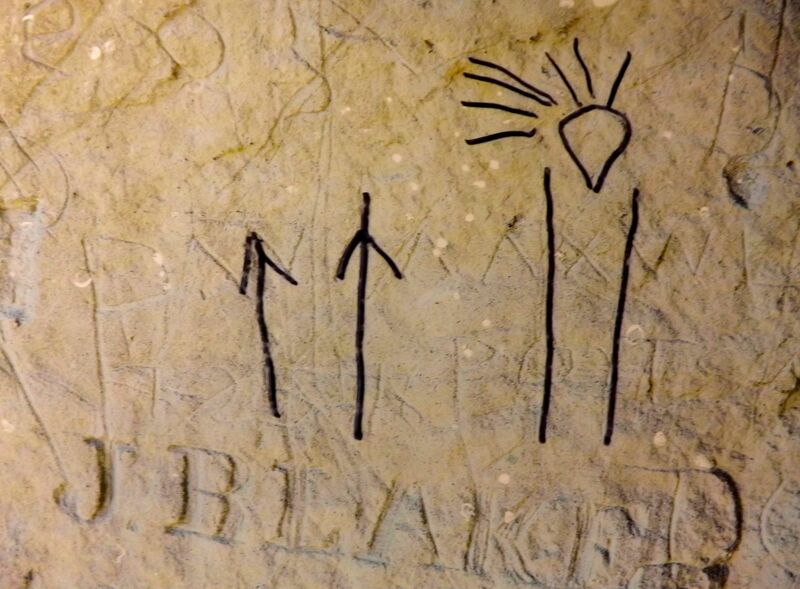 These pictographs, however, are not the reason Pompey’s Pillar is a national landmark. The land on which it sits was part of the vast territory that comprised the Louisiana Purchase of 1803, and thus it was discovered by one half of the expeditionary team who charted this land, William Clark, on the return journey of their western exploration. 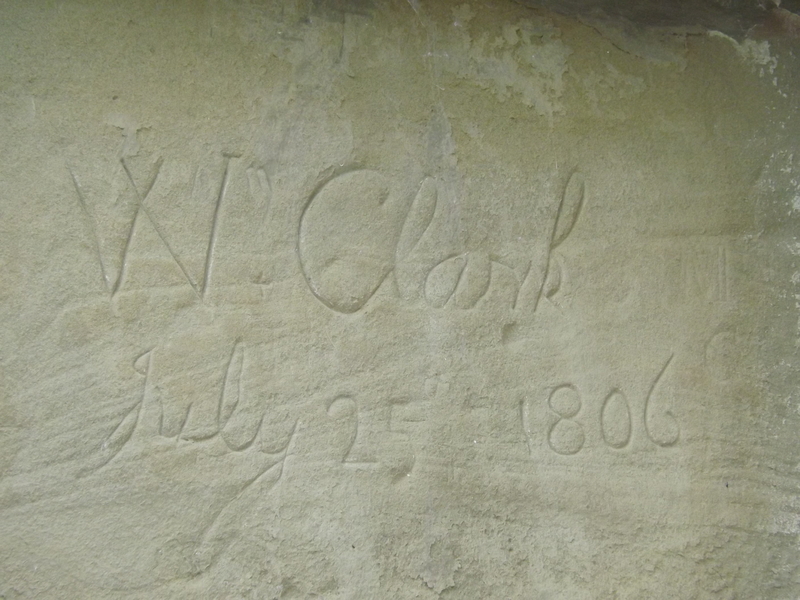 Finding the Native images, he chose to record his name in the rock face as well, and this survives as the only physical evidence of the entire Lewis & Clark Expedition. 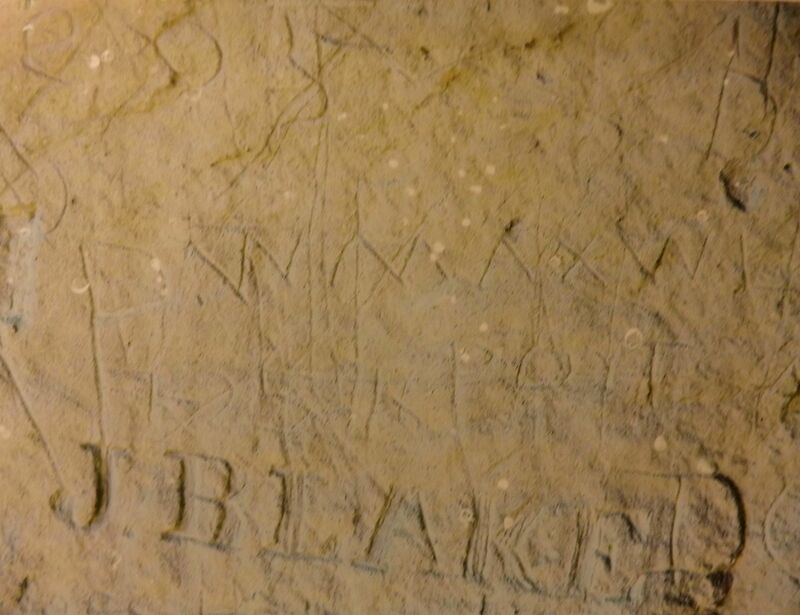 The pictographs Clark found carved into Pompey’s Pillar were not, much to my surprise, the only manner by which local tribes recorded some aspect of their history. 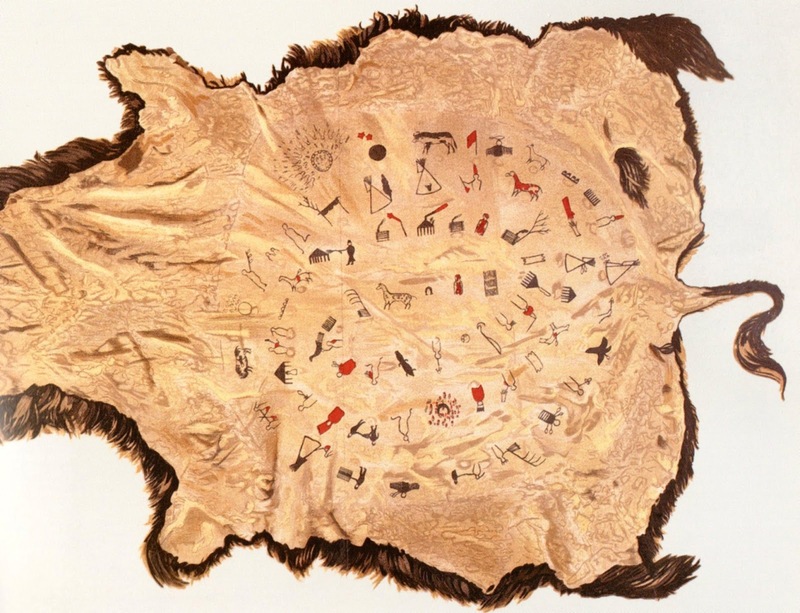 The Lakota recorded their history in a calendaric fashion, painting images to represent specific events on an animal hide, called a Winter Count. These records could last multiple generations, cover hundreds of years, and significant events of the past could be incorporated into new counts as a means to preserve memory. The Battiste Good Winter Count, recorded in the late 19th century, includes tribal events dating back to AD 900. Won. Pugnax, Neronian, fought 3. Killed. Murranus, Neronian, fought 3. Won. 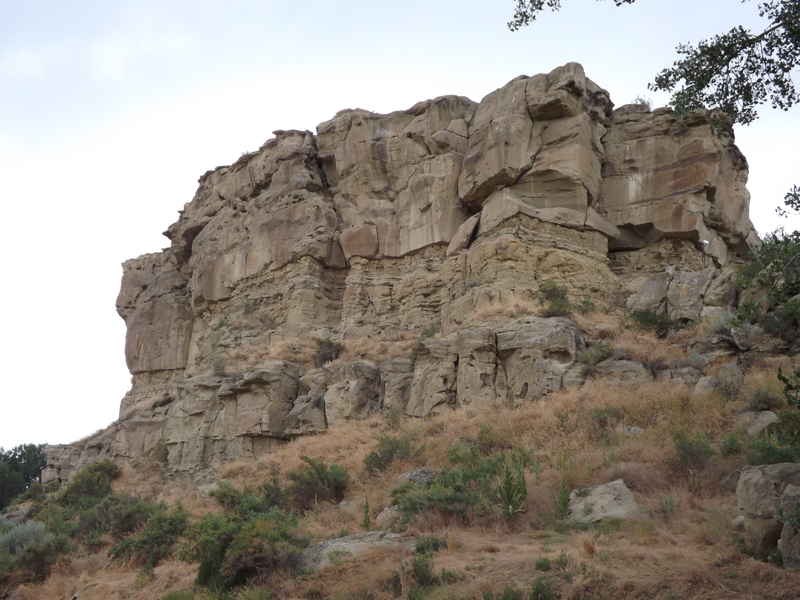 Cycnus, Julian, fought 9. Reprieved. Atticus, Julian, fought 14. Won. Herma, Julian, fought 4. Reprieved. Publius Ostorius, fought 51. Won. Scylax, Julian, fought 26. Won. Nodu[. . .], Julian, fought 7. Killed. Lucius Petronius, fought 14. Killed. Lucius Fabius, fought 9. Whether it is recording a gladiatorial contest, an afternoon stroll in the blazing sun on the Via dei Sepolcri, discovering a large rock formation during a surveying expedition, or the significant events of the past year by a tribal council, all of these texts are, at their very essence, the same. There is a fundamental human desire, regardless of time, place, or the existence of written language, to be able to preserve memory, and to state unequivocally: I was here.